This post is sponsored by Umi who sent me a pair of shoes to facilitate this review and giveaway. We all know by now about my little fetish for children’s shoes. Now that Caroline is standing up and starting to toddle around, I know I need to find good toddler shoes for her growing feet. 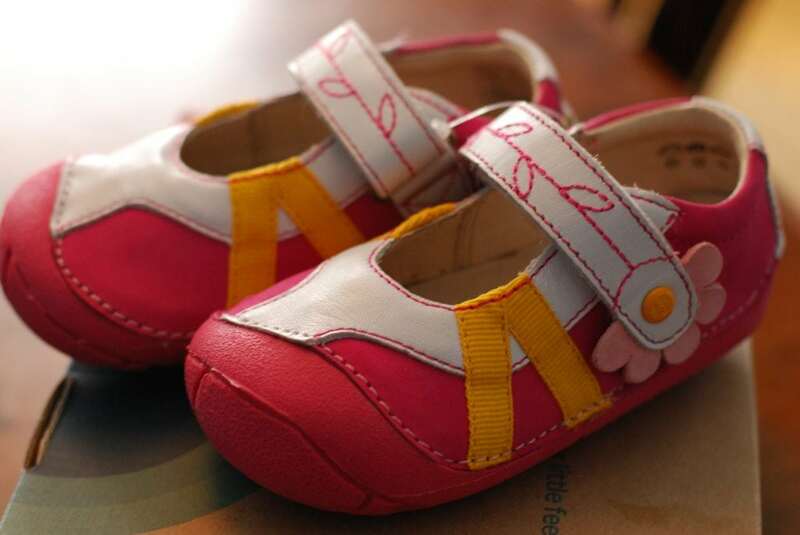 Having a shoe that is developed for toddler’s growing feet is essential. Little ones need flexibility so they are not contracted yet supported at the same time as well as a lightweight design so that they can move around easily. 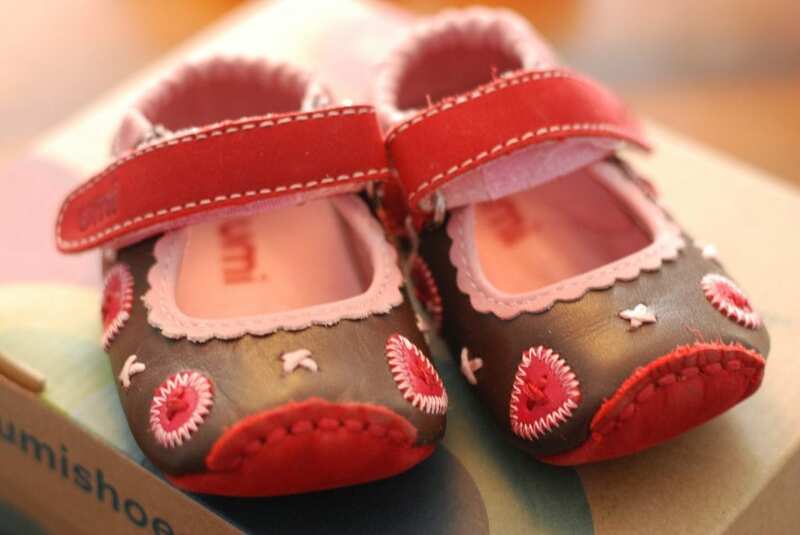 Umi Baby provides all of these features with their infant/toddler line of shoes. Aren’t they adorable? This is the Cassia in Pink Multi. I love the colors! The rubber outer sole will be very supportive as Caroline begins to navigate her surroundings. I don’t have to worry about her stepping on something that could hurt her foot. Her old Umi Baby shoes barely fit her. With natural and breathable full leather linings they were perfect for when she was just pulling herself up and shuffling around. I am really sad that she has grown out of them as they were my favorite pair of shoes that she had! It helps that her new pair of shoes are just as adorable as her last pair. I was thinking of giving this pair aways as they still look brand new, but to be honest I don’t think I can part from them. They are going in my hope chest to save for when she has her own babies. My mother saved some of my clothes for me that I now keep in my hope chest. I want to do something special like that for my kids. I took this picture to show you how much larger the size 20 shoes are from the size 18. I ordered mine a little too big for her, but I know she will grow into them before I know it. The antibacterial liner in the shoe will make for easy cleaning and ensure that my daughter’s feet stay clean and healthy. I absolutely love that feature! 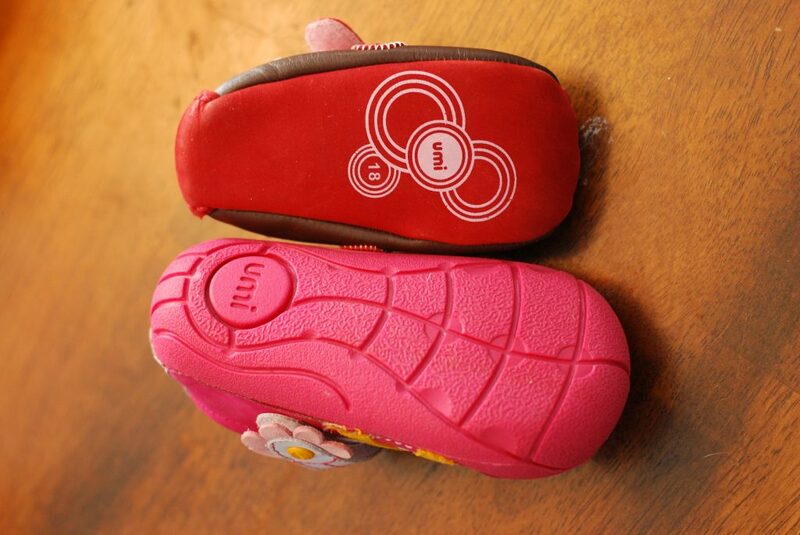 Umi shoes are well made and will last until your child grows out of them. We have owned about 6 pairs of Umi shoes and I have never been dissatisfied with any of them. In fact, they are by far my favorite shoes that my kids have worn. I held on to my son’s shoes until I found out that I was having a boy and then I passed them on to a friend. They still look great! Don’t forget to check in with Umi monthly for their deal of the month. For the next few days the Dana is 40% off, but hurry a new deal of the month will start in 5 days! Also, Umi offers FREE shipping and returns (excluding clearance). A perfect opportunity for some spring savings! Be sure to check out the new Spring line up from Umi! 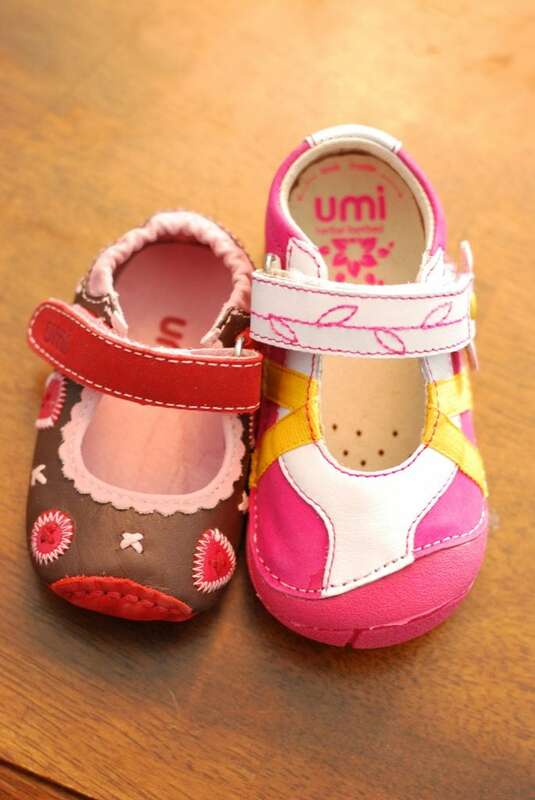 Umi shoes have graciously given one (1) lucky reader a $60 gift card to Umi! This product review was made possible by Umi Shoes. I was not compensated for this review other than a product sample. All opinions are 100% mine. I really like the Cassia in pink multi! I love the benet shoes! The Cassia 304054 are my favorite! I like the Oleson shoes. I Like the Sammie shoes! I like the Zander shoes in Navy Multi color. i want the adelyne shoes! I love the White Misha Sandals! I love the Elain shoes in silver! I like the Giselle Big sandals. I like the hayman shoe. I love the Kyraa bootie. I like the Tala girls shoes! I like the Giselle Big. I like the Connor sneakers. I like the Cassia Cocoa. I like the Roxanna sandals! I like the Weelie in light gray multi! Oh my! Those are adorable! I can’t really choose one because all of them look so adorable. Oh I love the Harrley sandals! I like the girls Roxanna, but I can’t decide which color I like best! I’d love to get my son the Oleson’s! In black! My favorite pair is Morie D shoes. There are two I adore but I think in the end, I would choose Elain.